We have had a couple of very tragic building fires in Minneapolis already this year. Yesterday, a fire in N. Minneapolis resulted in the death of 5 small children and a number of other people in that same family in the hospital with serious injuries. It breaks your heart to see what happens when I fire breaks out in multilevel housing. I moved into StuccoHouse at the end of October and that first year I received a Christmas present that has stayed untouched in it's box under a window on my second floor. Its only recently that I've come to realize what a good present this was. 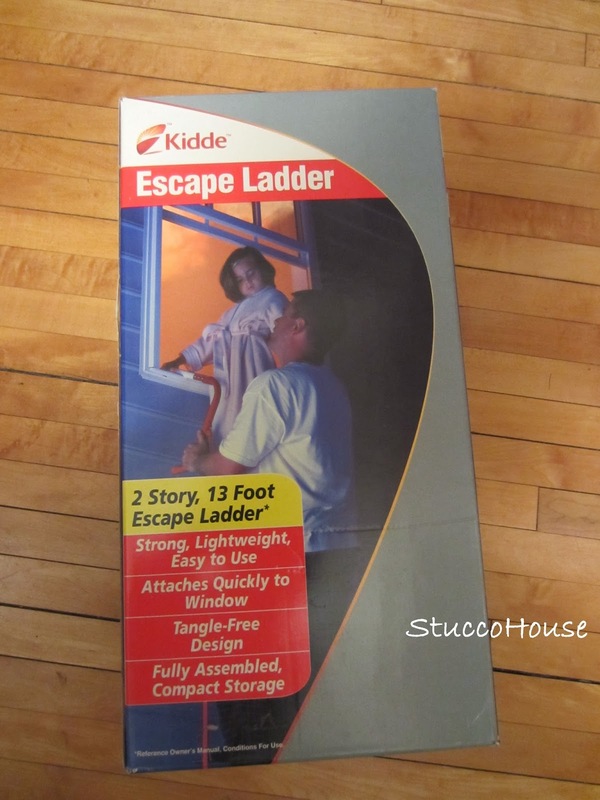 It is a ladder that hooks on a window sill and unfolds outside of the building bringing you much closer to the ground in the case of an emergency. Mine is for a two story house, but they can be bought for taller buildings too. They run in the ballpark of $40 to $60 on Amazon. Money well spent, I think. 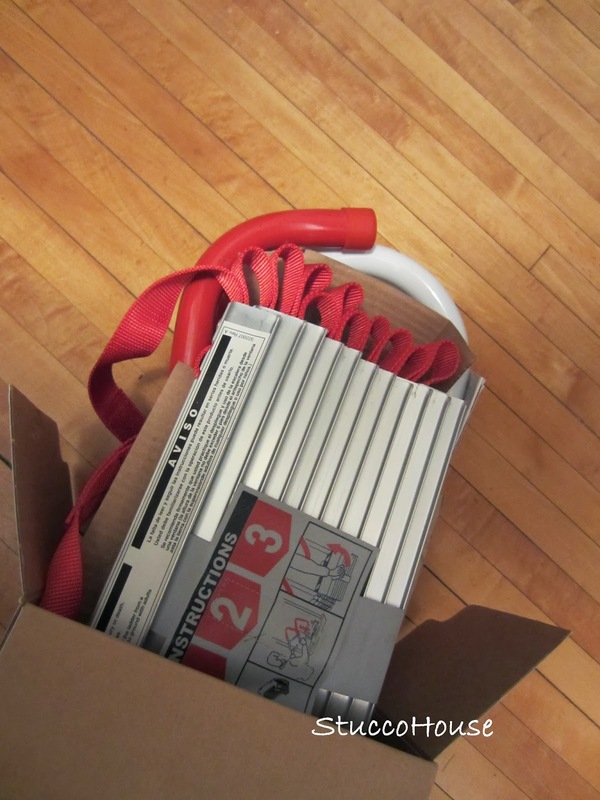 In taking the photos for this post, I realized that I had never actually opened the box and looked at the ladder itself. Probably not the greatest idea as I imagine the last thing you want to do in the middle of an emergency is sit down and read directions. There ya go....an idea for next year's Christmas presents.